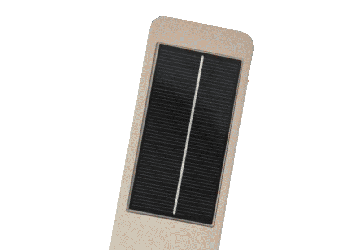 Utilizing the Iridium satellite network, this solar powered asset tracker features a 7-10 year battery life, which means no battery change maintenance. Best of all, it allows you to locate on demand, at any time, and this tracker works everywhere around the world. The Iridium satellite tracker is a self-contained, low profile, environmentally sealed asset gateway, powered by an energy efficient solar-rechargeable battery engineered to survive long low sun conditions and provide up to 10 years of data with zero maintenance. This Asset Tracker can be mounted on almost any type of asset used in the world's harshest conditions. Because it is intrinsically safe, it can be used in hazardous locations to track hazardous material shipments or monitor hazardous operations. The Asset tracker features advanced memory-rich, onboard processing capabilities, supporting highly configurable modes of operation, business logic, reporting rates, alert thresholds, on-board geofences and configurable IO interfaces for various sensor-based applications. The Asset Tracker leverages the 100% reliable global two-eave coverage of the Iridium satellite network and next-generation cellular technology (Q1 2019 for hybrid cellular models), providing seamless, uninterrupted connectivity and access to both fixed and mobile assets. The Iridium Asset Tracker Installs in minutes in nearly any asset type configuration. Designed to fit between container corrugations. Mounts easily on trailer tops, front wall or nose. IP67 Enclosure designed to operate in the harshest conditions. MILSTD 810E & SAEK1455. US.CA C1D2 safe operations in hazardous locations. Solar Powered, Auto Battery Recharge, with 7-10 Year Life. The Iridium Satellite Constellation consists of 66 active satellites in orbit, providing for global coverage. Satellites are in low earth orbit at the height of approximately 485 miles up. The satellites circle the globe at 17,000 mph. The satellites orbit from pole to the same pole with an orbital period of roughly 100 minutes. This means there is excellent global coverage, as well as coverage in both the North and South Pole geographic region. The Iridium asset tracker utilizes the L-Band Short Data Burst protocol to send location data, and other related information back to earth. Enclosure: 12.4" x 3.2" x 1.15"
Overages are billed out at $5 per excess KB used. One KB equals 1000 bytes, each locate packet is 10 bytes, this equates to 100 additional locates. Service is Month-To-Month, No Contracts. Have A Question About "Iridium Solar Powered GPS Asset Tracker" ?